Imagine a jet engine for the Oompa-Loompas. Engineers from General Electrics are now trying to create the future of aircraft production. Recently they’ve shown some degree of their capacity. 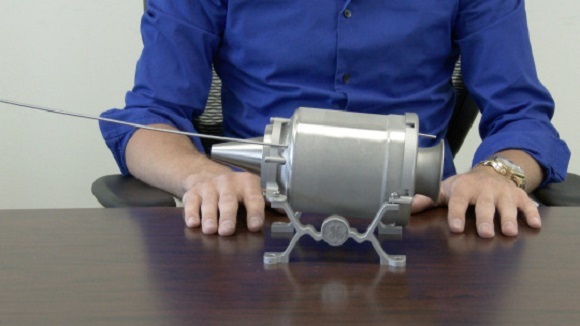 They’ve developed a simple 3D printed mini jet engine speeded at 33,000 rotations in a minute. The jet engine is relatively small, its size is that of the backpack. It was developed by a group of machinists, technicians and engineers who work for the GE Aviation Development Centre outside Cincinnati. It’s a lab that focuses on advancing additive manufacturing, that is surely the technology of the future, which melting metal powder layer upon layer helps create complex 3D structures. Over a couple of years they’ve been creating the engine to check the abilities of the technology and to work on the side project as well. One of the engineers said that they wanted to check if it was possible to create a small engine that consists almost of 3D printed parts. The GE team found it difficult to build the complexity of the whole engine into the small model. But instead of that they are trying to develop a simpler engine for remote control model planes and make them suit the 3D printing devices. The ready products’ length is about a foot and they are nearly eight inches tall. When these engines were ready, they were put into a test cell, in which full-scale engines are usually tested, and the cell was fired up. The model of the engine is being displayed at Additive Development Centre together with other pieces. Using the conventional machining methods means usually cutting pieces from the larger ones to get the ready shape. Whereas in additive manufacturing lasers are used to fuse thin metal layers on top of one another to create parts as if from nothing. It is an advanced technique which results in reduction of material waste. In addition, it allows to produce more complex parts and to optimize their work in the machine. The production team also figured out an essential benefit of using additive manufacturing to create parts of aircraft. They sketched and produced a fuel nozzle that will be 3D printed and then included into the CFM LEAP jet engine for commercial airplane with one aisle. Such an engine is now being tested. 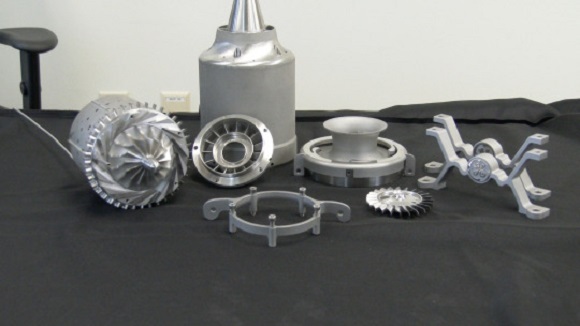 The FAA has recently approved the first 3D printed part for the GE90 jet engine. Spokesman of GE Aviation Matt Benvie explained that there are lots of advantages of using additive manufacturing for creating things. It saves you more time as you go from a concept or a model to creating the part. It also helps you create shapes that you cannot get otherwise.